Last night marked the final performance of both our Émigré concert series and Spitalfields Music Summer Festival 2015 with our Georgian London concert at Shoreditch Church. Joined by our Principal Conductor, Stephen Layton, choir Polyphony and baritone Ashley Riches, it was a fantastic evening of music by some of classical music’s biggest names, Haydn and Mozart chief among them, who fled to London in the eighteenth century to seek fame and fortune. The whole performance was broadcast live via BBC Radio 3, so don’t forget you can hear it all again for free on BBC IPlayer! We received some great feedback on the concert, some of which we’ve shared below, along with some of our favourite pics from the evening. But what did you think of the evening? We’d love to hear your thoughts! Either leave us a comment on this post or connect with us on Twitter: @CityLdnSinfonia, Instagram: @cityoflondonsinfonia or Facebook: /cityoflondonsinfonia. Gorgeous @BBCRadio3 live concert by @Polyphony_UK & @CityLdnSinfonia from St Leonard’s in Shoreditch. 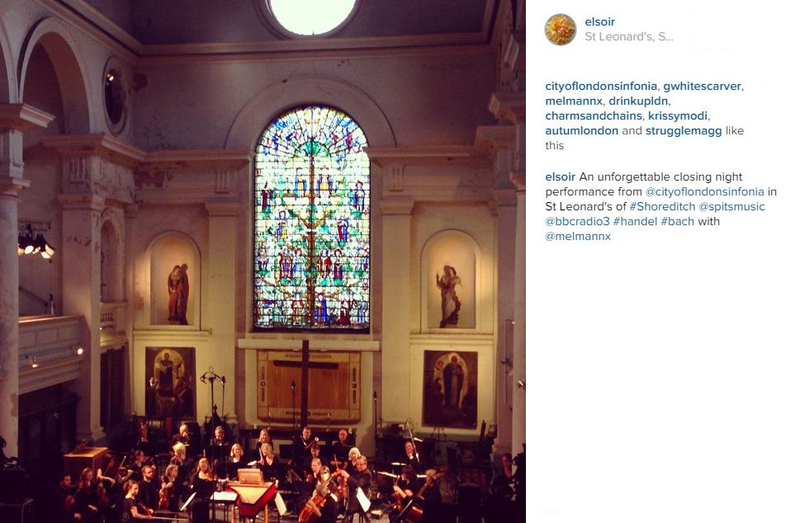 @BBCRadio3 Charming JC Bach sinfonia conc by @CityLdnSinfonia was new to me. Londoners called him ‘Batch’, poor chap. Émigré: Georgian London is available to listen for free on BBC IPlayer until 17 July at www.bbc.co.uk. Don’t forget to keep your eyes peeled this July as we announce next year’s exciting programme of events as part of our 2015-16 season!